Carleton VS Ottawa — Who Do You Got? The top two teams in the nation, from the same city. The most highly-anticipated CIS game of the year. Carleton VS Ottawa tips this weekend, Saturday January 10 at Monpetit Hall. Both teams are undefeated at 8-0. In the last two meetings, wins were split. Carleton defeated Ottawa for the CIS National title, last March, while Ottawa took down the Ravens for the OUA title. 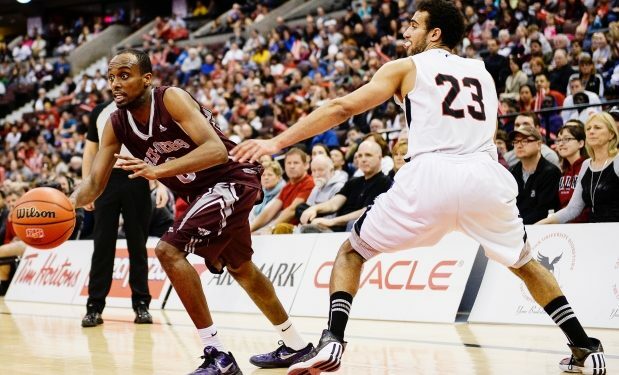 However, in regular season games, Carleton is 10-0 against the Gee-Gees. Can Ottawa get over the hump, or will CU continue to flex muscle? UPEI Panthers Have Secured Former Citadel High Star, Deontay ‘DJ’ Smith!